The tokens are quickly becoming relics and the early adoption phase for SEPTA Key is now a thing of the past. Beginning Tuesday, you can purchase a SEPTA Key card at one of more than 100 locations in and around Philadelphia. The reloadable travel cards had previously only been available at transit stations, Bus Loop Fare Kiosks and SEPTA Sales Offices. During the initial phase, SEPTA Key cards were distributed free of charge. 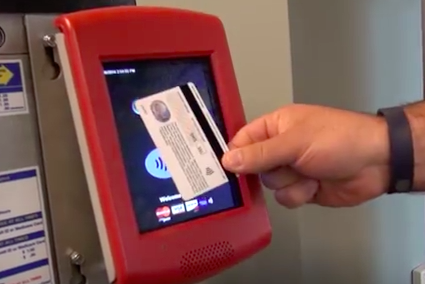 They now cost $4.95 up front, but that fee is reimbursed into a rider's travel wallet as long as the card is registered with SEPTA within 30 days. Below is a map of the retail locations that sell SEPTA Key cards. SEPTA officials said the goal is to expand the external network to more than 1,500 locations throughout the service region including grocery stores, pharmacies and local convenience stores. The map above will be updated as new locations are added. Once a Key card has been purchased, riders can register their card by visiting SEPTAKEY.org or calling (855)-567-3782. Registering a SEPTA Key Card provides riders with protection against loss or theft. Beginning May 4, SEPTA will lower the minimum travel wallet credit from $10 to $5, allowing riders to load a smaller increment for one-time rides. For anyone still hanging on to tokens and Legacy TransPasses, now would be a good time to pick up a SEPTA Key card.